Bugatti, the French luxury automaker has been a pioneer in technical developments and innovations across the automobile industry and their Veyron and Chiron super sports cars are a living testament to this fact. Bugatti already uses the most powerful brakes in the world on its new Chiron sports car. In addition to this, Bugatti achieved quite a unique feat by 3D printing the world’s first and the largest brake calliper. The brake calliper made from titanium is also the world’s largest fully functional 3D printed titanium component. 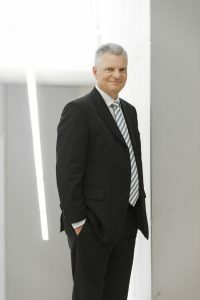 The calliper was developed in collaboration with Laser Zentrum Nord, a part of the Fraunhofer Research Organization, considered as Europe’s largest research organization. The most common material used for brake callipers throughout the industry is aluminium but it is comparatively heavier and possesses less strength. But since it is easy to operate aluminium in traditional machines, it is widely used in the automotive industry. Titanium, on the other hand, is most commonly used in the aerospace industry in the engines and wing components which require high resistance to stress with more stiffness and strength. It also entails high processing costs. 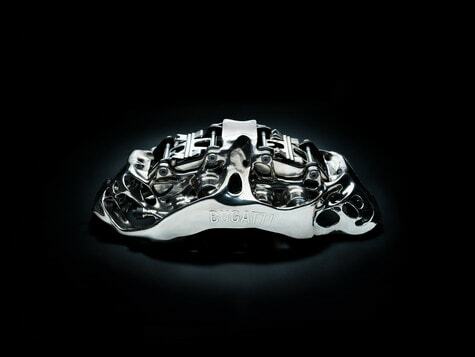 The Bugatti brake callipers are made from titanium which is one of the strongest elements on the planet. Working with titanium is extremely difficult due to obvious reasons. 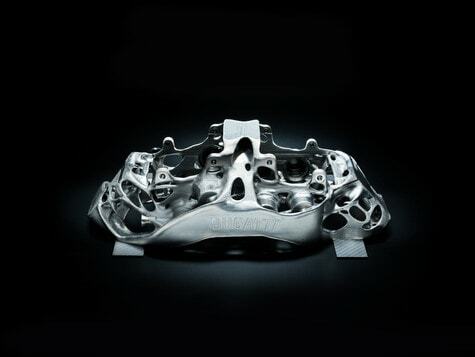 But 3D printing simplifies the manufacturing process for titanium. 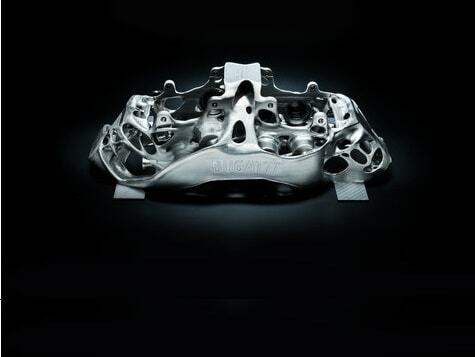 The technology allows easy printing of titanium at the same time the parts are much stronger and stiffer. It even allows complex geometrical designs to be printed with relative ease. The new titanium calliper offers a superior performance than aluminium. It has a tensile strength of 1,250 N/mm2, which means that a square millimetre of material can withstand a load of more than 125 kg without a crack. Titanium is also lightweight and the new part (2.9 kg) is 40% lighter than its aluminium (4.9 kg) counterpart. In short, titanium offers higher strength while reducing the overall weight, the ideal conditions for any car manufacturer. Till date, it was simply impractical to use titanium brake callipers in automobiles but 3D printing has given the opportunity to try new materials and expanded the design and manufacturing freedom lacking in the traditional manufacturing sector since a long time. Using High-performance 3D printers has enabled Bugatti and Laser Zentrum Nord to 3D print the part using their SLM machine. The SLM machine is also the largest printer in the world which can print titanium. It is equipped with four 400-watt lasers. All the four lasers melt the powdered titanium material at specific contours in each layer. The entire printing process took a total of 45 hours for printing 2213 layers. The designs with the strength and stiffness calculations were supplied by Bugatti and the printing process was carried out by Laser Zentrum Nord whereas the post-processing of the part was again handled by Bugatti. The contours and the contact surfaces were finely machined which took additional 11 hours till the part ready. Vehicle trials are expected to start soon this year. Bugatti recently (in December 2018) put its 3D printed brake calliper to test to extreme speed and heat testing. The said brake calliper was touted to be the World’s first 3D printed brake calliper. While a lot of such claims go in vain when the actual product does not deliver on the merits, Bugatti decided to show the world the capabilities of its 3D printed brake calliper. The test was carried out in a lab where the brake was put onto a rotor attached to a spindle. The spindle spins the rotor simulating a wheel. The system has numerous sensors which display the temperature and speed settings on the control monitor. The video show the rotor spinning at top speeds of up to 230 mph (370 kph) multiple times. When the brakes are applied, the disc temperature rapidly shoots to high temperatures to around 1,877 degrees Fahrenheit (1000 degree Celsius). The heat generated in the process throws up sparks and even flames. But after the end of the testing the engineer dismounts the 3D printed brake calliper and shows the brake calliper from all sides to assure the viewer that everything is perfectly normal and there is no harm to the part. This just one of the videos released by Bugatti and certainly does not certify that the brake calliper is production quality, but it shows the capability of 3D printed products. We await further details from the company.